In Riyadh, the Saudi International Media and Broadcast Expo opens for three days on on February 9, and will present a range of additional new features, technology demonstrations, knowledge exchange platforms and themed exhibiting zones such as the Content Delivery Hub, a sector focused on Over The Top (OTT) technologies delivering instant and on-demand digital and video content. Reportedly, Saudi Arabia’s Media industry is is in a growth phase, with the government offering initiatives to jumpstart growth in the country’s television and media sector. Offering a hint at the participatory profile, more than 200 exhibitors from 22 countries have already committed to participation, coming from industry sectors including social media and networking, operating equipment and supplies, technology, camera and photography, and news media. It also provides an interdisciplinary forum for radio and TV channels owners, management teams to present and discuss the most recent innovations, trends, and concerns, practical challenges encountered and the solutions adopted in the field of media and networking. SIMB Expo’s conference program reflects topics set to explore recent advancements in the delivery and continuity of the visual and audio media industries. There will be reviews on the changing landscape of broadcast media in MENA through particular topics: Promoting the digital experience by leveraging on existing services without undermining traditional business models; Driving Cross-Platform Measurement: Bridging the Audience Measurement Gap Across Viewing Screens; Developing a Winning Strategy for the Future of Visual Effects and Post-Production; State of the Industry Report Presented by Frost and Sullivan Is the Middle East Aboard the Flying Carpet for TV-Everywhere Yet; The Digital Content Revolution: A World of Opportunity; TV S.M.A.R.T. — Anytime, Anywhere — The Evolution Continues; The Impact of Multiplatform Content Delivery in Live Sports Production. SIMB Expo exhibitors at the convention will represent many industry categories, including: Camera Equipment Providers, Studio Equipment Suppliers, Media Educational Institutes, Culture and Information, and Media Authorities, Radio Channel Agencies, News Channel Agencies, Cinematography, Studio Accessories, Media and networking Software Solution, Publishing, Media Management Solutions Agencies, Information Technology Companies, Marketing Companies, Media Lab Equipment, Online media storage and retrieval, Online Media Services, Image Enlargers, Media and Advertising Companies, Media Equipment Suppliers, Film and Media production houses. The Saudi International Media and Broadcast Expo aims to bring together leading media & networks, channels and TV and Radio equipment suppliers to exchange and share their experiences and research results about all aspects of Media and Network Technology. The month of February will host several global event dates (between at least two separate organizers) spotlighting the vitality of radio in present day media culture. World Radio Day 2019 organized through UNESCO will celebrate the theme of “Dialogue, Tolerance and Peace” and the power of radio in promoting understanding and strong communities. UNESCO has outlined on its website “10 Ideas” for celebrating World Radio Day for anyone, anywhere in the world: “Embrace Differences, Engage Your Audience, Empower the Voiceless, Inspire Your Listeners, Foster Partnership, Reflect, Celebrate Community Spirit, Put Words Into Action, Participate, Listen and Respond.” On January 14, 2013, the United Nations General Assembly formally endorsed UNESCO’s proclamation of World Radio Day. During its 67th Session, the UN General Assembly endorsed the resolution adopted during the 36th session of the UNESCO General Conference, proclaiming February 13, the day United Nations Radio was established in 1946, as World Radio Day. 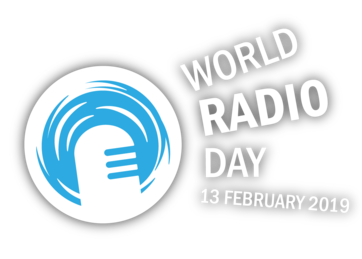 World Radio Day was proposed by the Director-General of UNESCO. The objectives of the Day will be to raise greater awareness among the public and the media of the importance of radio; to encourage decision makers to establish and provide access to information through radio; as well as to enhance networking and international cooperation among broadcasters. There is a changing face to radio services which, in the present times of media convergence, are taking up new technological forms, such as broadband, mobiles and tablets. Radio is the mass media reaching the widest audience in the world. However, it is said that up to a billion people still do not have access to radio today. It is also recognized as a powerful communication tool and a low cost medium. Radio is specifically suited to reach remote communities and vulnerable people: the illiterate, the disabled, women, youth and the poor, while offering a platform to intervene in the public debate, irrespective of people’s educational level. Furthermore, radio has a strong and specific role in emergency communication and disaster relief. In other events, from February 12-15, EBU, a global association of national broadcasters staging events from Geneva, will stage European Broadcasting Union Digital Radio Week consisting of industry and public events, including: RadioHack 2019, from February 11-12, RadioDNS Update, on February 12, Automotive Workshop, on February 12, Digital Radio Summit 2019, on February 13, and Radio Archive Workshop 2019, on February 14. In particular, the two day RadioHack 2019 will brings together coders, solderers and thinkers to collaborate and innovate together. This includes broadcasters, device manufacturers or just those with a passion for radio and technology. For two days, hackers are invited to work on new ideas and technologies or explore how existing ones can be linked together to create something of use to broadcasters and content makers. And Digital Radio Summit will examine topics for the future of Radio, as well as showcasing a range of projects. Sessions will cover insights from outside of Europe, including Australia and the US, as well as a discussion on Radio in 5G alongside broadcast. Other invitation-only events take place during this week, including the EBU Strategic Program for Radio meeting, and the WorldDAB Technical Committee. The Istanbul International Film-TV Forum & Exhibition (IFTV) provides the regional broadcasting industry with insights into the Turkish Media Market, and foresight to uncover new opportunities in the EMEA region while building global partnerships. IFTV brings professionals of broadcasting and content industries together under four main events: Forum, Film TV Market, Exhibition. Organised by CEO Event and supported by RATEM, and Professional Union of Broadcasting Organisations, the Istanbul located event stretches from February 14-16. For the event iTVF wants to bring together a select profile of professionals, and play host to an important cultural gathering with visitors from 75 countries participating in the event. Like the previous year, the expo in 2019 will consist of presentations about the broadcasting industry, TV channels, new technology and media companies, film production suppliers, film and series production companies, international distributors of film and series and film locations. Additionally, there will be planned exhibitions for services and products, from sectors including audio and lighting equipment and accessories, animation, data storage, IPTV , mobile TV, VR and other advanced technologies. Reportedly, the Turkish media industry has caught up with the pace of global progress that have realized transformations brought about by technological advancements. Turkey exports TV series, shows and original formats to approximately 140 countries and yields an annual revenue of 250 million dollars. With more than 600 TV and 1000 radio channels, Turkey has proven its unusually large and rich broadcasting capacity. As a result of such developments, RATEM (the Association of Radio and TV Broadcasters), the largest non-governmental organization in the Turkish media industry, organizes the international IFTV with the help of Turkey’s leading events organization company, CEO Event. IFTV speaker discussions aim at developing and presenting a road map based on the anticipated global trends and advances as well as the communication and cooperation channels in the broadcasting industry. Through invited speakers their goal is to discuss the international agenda of broadcasting and content and to come up with ideas for a common future. Based on the main theme chosen according to the advancements of the year, the forum will include national and international visionaries and opening speakers. In Turkey, there are 178 television companies, including 16 national, 10 regional and 152 local companies, as well as 902 radio companies, including 30 national, 79 regional and 793 local companies, which have applied to the Radio and Television High Council to obtain a license for terrestrial broadcasting.Currently, 798 of these radio and television companies are members of RATEM. RATEM (Professional Union of Broadcasters), was established in 2001 to produce permanent solutions for Radio and Television Broadcasting, and to follow and protect rights based on the 5846 Numbered Law of Intellectual Property Rights. The Istanbul TV Forum and Fair aims to provide the regional broadcasting industry with opportunities to discover the Turkish Media Market, exploit new opportunities in the EMEA region and build global partnerships in Istanbul, a promising hub for international business. Embracing the full broadcasting ecosystem, iTVF will continue its mission to gather all professionals, companies and institutions which serve the entertainment and media industry. In other areas of development and enrichment, iTVF supported its comprehensive forum program and broadcasting technology fair, ensuring its participants a unique event in 2014 with the ‘100th Year of Turkish Cinema Awards’, ‘The BAK Short Film Awards’ (Documentary-Animation-Fiction) and an enthralling bosphorus tour. In February there are highly anticipated film and music award ceremonies honoring great film and music talent in the USA and UK. 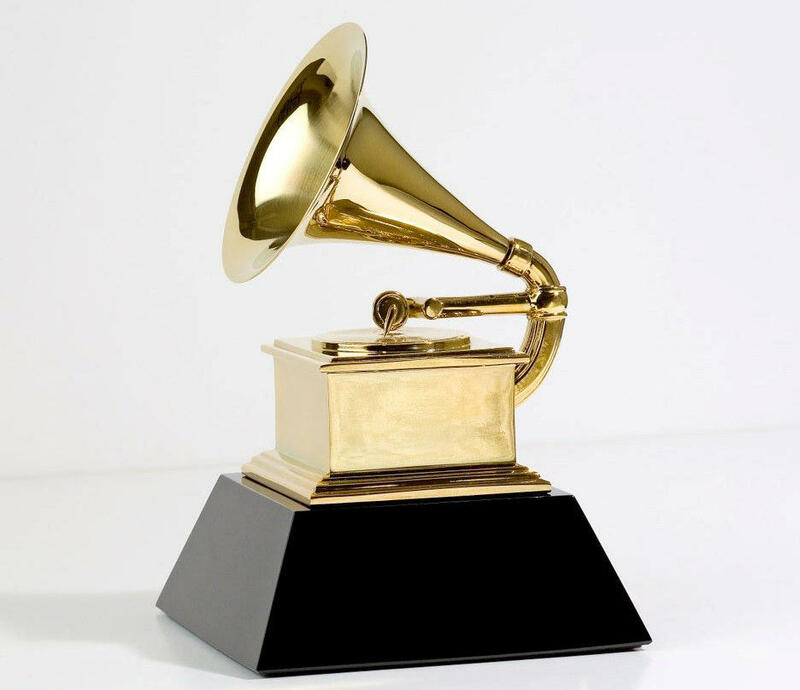 Set for February 10, the Grammys, administered by The Recording Academy’s voting membership, are a peer-presented award to honor artistic achievement, technical proficiency and overall excellence in the recording industry, without regard to album sales or chart position. The Grammy Awards will take place in Los Angeles and will be broadcast in high definition and 5.1 surround sound on the CBS Television Network from 20:00-23:30 (ET/PT). The show also will be supported on radio worldwide via Westwood One, and covered online at GRAMMY.com and CBS.com, and on YouTube. For updates and breaking news, please visit The Recording Academy’s social networks on Twitter and Facebook. Current nominees that will also perform at the 2019 Grammys include, Camila Cabello, Cardi B, Dan + Shay, Post Malone, Shawn Mendes, Janelle Monáe, and Kacey Musgraves. Singer-musician Alicia Keys will host the 61st Grammy Awards. Nominees for the category of Record of the Year include: I Like It, from Cardi B; The Joke, Brandi Carlile; This Is America, from Childish Gambino; God’s Plan, from Drake; Shallow, from Lady Gaga and Bradley Cooper; All The Stars, from Kendrick Lamar and SZA; Rockstar, from Post Malone Featuring 21 Savage; The Middle, from Zedd, Maren Morris and Grey. Nominees in the category of Album of the Year include: Invasion Of Privacy by Cardi B, By The Way, I Forgive You by Brandi Carlile, Scorpion by Drake, H.E.R. by H.E.R., Beerbongs & Bentleys by Post Malone, Dirty Computer by Janelle Monáe, Beerbongs & Bentleys by Post Malone, Black Panther: The Album, Music From And Inspired By (Various Artists). Nominees for the category of Song of the Year include: All The Stars, Boo’d Up, God’s Plan, In My Blood, The Joke, The Middle, Shallow, This Is America. Nominees for the category of Best New Artist include: Chloe x Halle, Luke Combs, Greta Van Fleet, H.E.R., Dua Lipa, Margo Price, Bebe Rexha, Jorja Smith. BAFTA is an independent charity with a mission to “support, develop and promote the art forms of the moving image, by identifying and rewarding excellence, inspiring practitioners and benefiting the public.” Situated in Kensington, it is a membership organisation comprising approximately 7,500 individuals worldwide who are creatives and professionals working in and making a contribution to the film, television and games industries in the UK. In addition to its annual awards ceremonies, BAFTA has an international program of learning events and initiatives offering access to talent through workshops, masterclasses, scholarships, lectures and mentoring schemes in the United Kingdom and the United States. BAFTA’s annual film awards ceremony on February 10 is known as the British Academy Film Awards, or “the BAFTAs”, and reward the best work of any nationality seen on British cinema screens during the preceding year. Nominees for Best Film category include: BLACKkKLANSMAN, The Favourite, Green Book, Roma, A Star Is Born. Nominees for Outstanding British Film category include: Beast, Bohemian Rhapsody, The Favourite, McQueen, Stan & Ollie, You Were Never Really Here. Nominees for Leading Actress category include: Glen Close for The Wife, Lady GaGa for A Star Is Born, Melissa McCarthy for Can You Ever Forgive Me? Viola Davis for Widows. Nominees for Leading Actor category include: Bradley Cooper for A Star Is Born, Christian Bale for Vice, Rami Malek for Bohemian Rhapsody, Steve Coogan for Stan & Ollie, Viggo Mortensen for Green Book. The public will be able to watch the BAFTA red carpet live on Twitter, Facebook and YouTube. Broadcast stations such as ManoTV, BBC Worldwide, Hollywood Suite, Canal Plus, MNET and others will carry the ceremony worldwide. Joanna Lumley will return to host will host the 72nd British Academy Film Awards in 2019. The Brit Awards are the British Phonographic Industry’s annual pop music awards. Founded in 1973, BPI is the representative trade organisation of the UK recorded music industry, which include the UK’s four major record labels and hundreds of independent music companies. BPI also organizes the annual BRIT Awards show as well as the Classical BRIT Awards show. 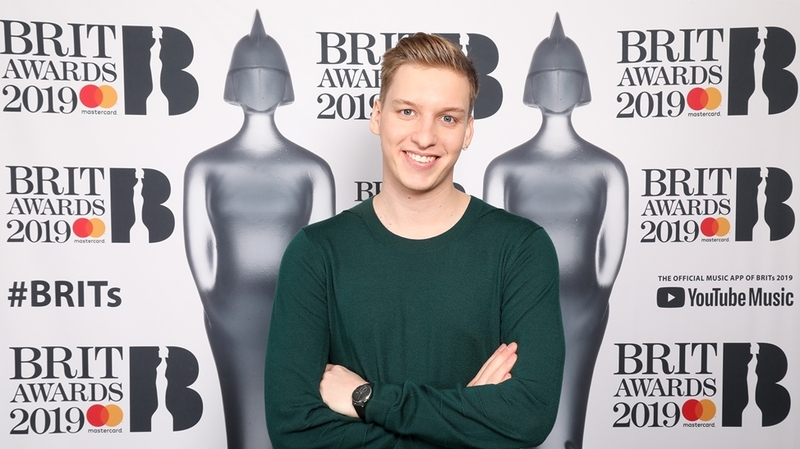 Featured artists in this year’s February 22 award show include Ms Banks, Calvin Harris with Dua Lipa, Sam Smith and Rag’n’Bone Man, Jess Glynne with H.E.R., The 1975, George Ezra, others. Pop icon P!NK will be honoured with the prestigious Outstanding Contribution to Music Award at this year’s ceremony. P!NK will be the first international artist to receive this award. The award is in conjunction with a Special Recognition for War Child to mark the charity’s 20th anniversary. The 2019 BRIT Awards will be broadcast live from O2 Arena in London and will be broadcast live on ITV. Alternatively, the BRIT Awards will be live streamed internationally on YouTube for the sixth consecutive year, viewers in the UK can watch live on ITV/STV or via the ITV Hub. The BRITS will be hosted by Jack Whitehall, and Clara Amfo and Alice Levine will be back to host this year’s Red Carpet show on ITV2 on the night of the awards for the third year running. YouTube Music is the official music app for The BRIT Awards 2019. YouTube Music on the web is at this link. The Oscars acknowledges the past year’s greatest cinema achievements as determined by a body of voting motion picture enthusiasts. The Academy’s roughly 6,000 members vote for the Oscars using secret ballots, which are tabulated by the international auditing firm of PricewaterhouseCoopers. The 91st Academy Awards will be held at the Dolby Theatre in the Hollywood and Highland Center, and televised live by the ABC Television Network (20:00 ET/17:00 PT). Donna Gigliotti and Glenn Weiss are producers for this years show. The Oscar presentation also will be televised live in more than 225 countries worldwide. The show is presented by the American Academy of Motion Picture Arts and Sciences (AMPAS) to recognize excellence of professionals in the film industry. AMPAS was originally conceived by Metro-Goldwyn-Mayer studio boss Louis B. Mayer as a professional honorary organization to help improve the film industry’s image and help mediate labor disputes. This 91st Academy Awards will be the first ceremony without a designated host since the 61st Academy Awards in 1989. In 2019, nominees in the category for actor in a leading role are: Christian Bale in Vice, Bradley Cooper in A Star Is Born, Willem Dafoe in At Eternity’s Gate, Rami Malek in Bohemian Rhapsody, Viggo Mortensen in Green Book. Nominees in the category for actress in a leading role are: Yalitza Aparicio in Roma, Glenn Close in The Wife, Olivia Coleman in The Favourite, Lady Gaga in A Star Is Born, Melissa McCarthy in Can You Ever Forgive Me? Nominees in the category of best animated feature film of the year are: Incredibles 2, Isle Of Dogs, Mirai, Ralph Breaks The Internet, Spider-Man: Into The Spider-Verse. Nominees in the category of Directing are: Spike Lee for BlackkKlansman, Pawel Pawlikowski for Cold War, Yorgos Lanthimos for The Favourite, Alfonso Cuarón for Roma, Adam McKay for Vice. Nominees in the category of best foreign language film are: Capernaum (Lebanon) Nadine Labaki, Cold War (Poland) Pawel Pawlikowski, Never Look Away (Germany) Florian Henckel von Donnersmarck, Roma (Mexico) Alfonso Cuarón, Shoplifters (Japan) Hirokazu Kore-eda. This year, on Oscar night, starting at 20:00 EST, the official Oscar Game will let fans engage with the award show with interactive, live play along experience. The Official Oscar Game will engage players with trivia, polls, and stories that highlight the great iconic moments of Oscar history. Eager Oscar fans can log in to Oscar.com or the ABC app to start playing. Red carpet coverage begins at 18:30 EST, followed by the awards ceremony. 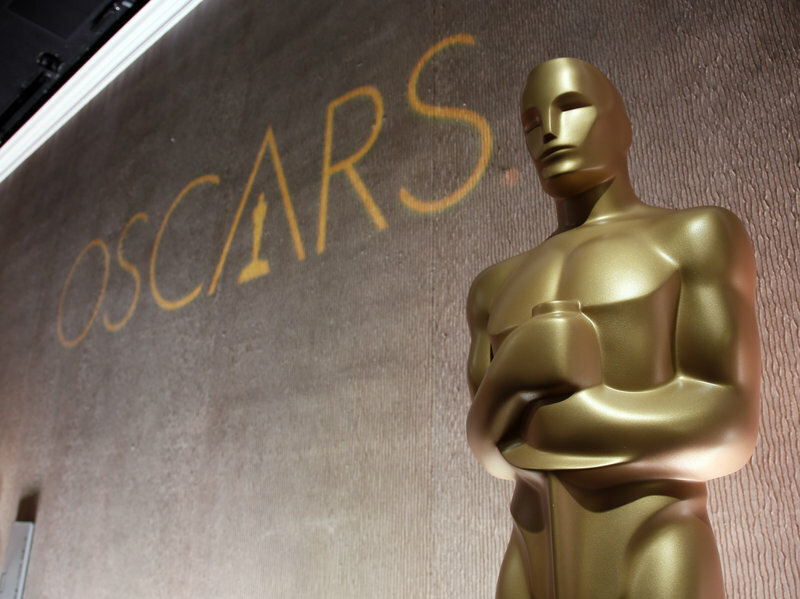 Live streaming of The Oscars award show is available with a participating TV provider in the following markets: Chicago, Fresno, Houston, Los Angeles, New York City, Philadelphia, Raleigh-Durham and San Francisco. Customers with a DirecTV subscription in the following markets will also be able to watch the ABC live stream of The Oscars: Albuquerque, Boston, Ft. Smith/Fayetteville, Jackson (Mississippi), Kansas City, Milwaukee, Monterey-Salinas, Oklahoma City, Omaha, Pittsburgh, Portland-Auburn (Maine), Savannah and West Palm Beach. Use this link for a for a full list of participating TV providers. 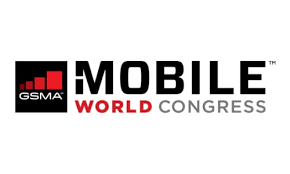 In 2019, several new exhibitors for MWC Barcelona, include CloudMinds, EY, Ford, Kazakhtelecom, Rakuten, Remade, Royole, Volkswagen and Wings Mobile. These companies will be among the more than 2,400 organisations participating at MWC19, including previously announced brands such as Accenture, Alibaba Cloud, ARM, AT&T, BMW, Cisco Systems, Deutsche Telekom, Ericsson, Facebook, Google, HTC, Huawei, Intel, KT Corporation, Lenovo, LG, Mercedes-Benz, Microsoft, Nokia Solutions and Networks, NTT DOCOMO, Ooredoo, Oracle, Orange, Qualcomm Incorporated, SAP, SEAT, SK Telecom, Telefónica, Verizon, Vodafone, Xiaomi and ZTE. Mobile World Congress will offer attendees focused Topic Tours of the exhibition led by industry experts. The 2019 Topic Tours program includes: 5G and NFV; Cybersecurity; Internet of Things; Mobile Advertising and Apps; Retail and Digital Commerce; Sustainable Smart Cities; Transformative AI; and What’s Hot at MWC. The GSMA also offers unique Custom Experiences to address attendees’ specific business objectives and requirements. Other new activities for 2019, YoMo will showcase a number of new activities. Among them, the Magma Exporecerca Jove Research Fair, featuring an award presentation for competing students at a gala on Saturday, 2 March; the Ciencia en Accción international competition for students, professors and researchers in the science community; the launch of the “choose your crew” career program; new Tech4Girls activities and a new Teacher Track from the Institute of European Design inclusive of speakers, immersive fashion and wearables. Confirmed Partner Programs include; China Unicom, Defense Advanced Research Projects Agency (DARPA), Huawei, Schools, Mobile World Scholar Challenge, Samsung, Tappy Technologies, Tanla, Telecommunications Industry Association (TIA), and Vertiv. While Dow Silicones, KLIX Media, NetNumber, Netsia, Tealium and Xilinx will host Power Hour Sessions. In addition, Salesforce will hold sessions in their Networking Garden. More information on these programs, and to indicate your interest in attending, is found at this weblink. Attendees will have the opportunity to attend a variety of programs in Hall 8.0 NEXTech – a place to gain insights from industry veterans who will conduct varied sessions during MWC19. Three types of facilities will be devoted to networking: networking events, networking lounges, networking gardens. The GSMA advocates on behalf of mobile operators worldwide, uniting more than 750 operators with over 350 companies in the broader mobile ecosystem, including handset and device makers, software companies, equipment providers and internet companies, as well as organisations in peripheral industry sectors. The GSMA also produces the industry-leading MWC events held annually in Barcelona, Los Angeles and Shanghai, as well as the Mobile 360 Series of regional conferences. The above events are only a sample of what is fully listed. Complete details are on the “Calendar of Global Media and Showbiz Industry Social Networking Events” page. If you like this report and other content found on The Actor’s Checklist, like the Facebook page at this link. 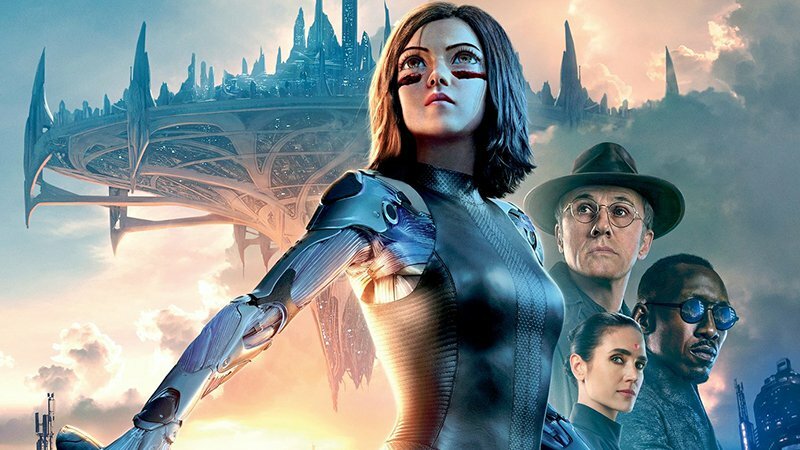 In this month’s photo placement (starting at the very top), ‘Alita: Battle Angel,’ a 2019 cyberpunk action film based on Yukito Kishiro’s manga series ‘Gunnm,’ opens in North American movie theaters mid-February. It is directed by Robert Rodriguez, written by James Cameron and Laeta Kalogridis, and stars Rosa Salazar. Next, World Radio Day 2019 organized through UNESCO, Istanbul International Film-TV Forum, Grammy statuette, BAFTA awards, George Ezra at London’s Brit awards, Oscar statuette, Mobile World Congress in Barcelona. Moving forward, the calendar pace picks up. Now as we enter March here are some anticipated industry events to note on the calendar. The anticipated SXSW Convention returns to Austin, comic convention WonderCon will be back at Anaheim, Digital Media Strategies 2019 opens in London, the Eighth Annual Winter Film Awards International Film Festival will be in New York City, Cartoomics Movies Comics Games will be in Rho, Mobile Beat Las Vegas is in Las Vegas, CABSAT broadcast and content event returns to Dubai. Las Vegas based CES is the annual trade show for consumer technology and among industry observers is considered America’s largest annual tradeshow of any kind. CES is produced by the Consumer Technology Association, the trade association promoting growth in the consumer technology industry. The Consumer Electronics Show is not open to the general public. Attending means being affiliated professionally with the consumer technology industry. All profits from CES are reinvested into industry services, including technical training and education, industry promotion, engineering standards development, market research and legislative advocacy. Covering practically every aspect of the consumer technology industry, over 2,500 exhibitors descend on Las Vegas to showcase the latest innovations in 15 product categories. John Donovan, AT&T Communications, delivers the 2019 Keynote Talk at CES. CES Unveiled Las Vegas is the official January 6 media event of CES 2019, welcoming press and industry analysts from the international community before the start of CES. Typically CES shows are segmented along product groupings. CES represents all facets of the consumer technology industry, from baby tech to sports tech, and from home entertainment to smart cities. This year’s show will be no different featuring longstanding and emerging consumer technology niches. Startups, and the impact of Eureka Park that provides startups with the opportunity to showcase their ingenuity. Another featured event in this sector will be the “Ignite the Night CES Pitch Competition, presented by NASA iTech.” The CES Sports Zone will encompass sports technology advancements, from smart products that enhance athletic performance to state-of-the-art venues and next-gen sponsorships. The Esports area will showcase live esports tournaments, with technology driving these experiences, and revelations on how esports is evolving and engaging fans. With over 380 million fans worldwide, Esports has emerged, and sessions will unveil forces driving growth, content that is appealing and how the industry is leveraging technology. The CES program sector of Immersive Entertainment will primarily explore innovations and advances from Augmented and Virtual Reality and Gaming, moreover, how brand marketers, content producers, sports technologists and health care professionals are using AR/VR to create immersive experiences, and VR/AR/MR Everywhere: Hospitality, Arcades and Theme Parks. As Robotics and Artificial Intelligence continue to have a growing impact on industries, workplace and entertainment, CES programming in this sector will highlight the latest developments in artificial intelligence and the next generation of intelligent, autonomous machines. Particular topics that will dovetail with the emerging landscape include, Robots in Aisle 5, Creating Tomorrow’s Robotic Caregivers, R2-D2 or C-3PO? Should General-Purpose Robots Be Humanoid? Other program sectors on the CES agenda will be, Product Design and Manufacturing, Health and Wellness, Blockchain, Automotive, Advertising, Entertainment and Content; 5G and Internet of Things (IoT), Home and Family. Top industry leaders and visionaries will be brought in to share their insights on the array of topics. CES attendees can expect to hear from, Linda Yaccarino, NBCUniversal; Carl Vause, Soft Robotics; Michele Turner, Google Smart Home Ecosystem; Geoff Schiller, POPSUGAR; Alexandria Sage, Reuters; Elena Richards, PwC; Ginni Rometty, IBM; Catherine E. Pugh, Mayor of Baltimore; Dr. L.P. Park, LG Electronics; Rachel Nichols, ESPN; Amy McDonough, Fitbit Health Solutions; Kay Madati, Twitter Content Partnerships; Dhani Jones, RockVentures; Lauren Jarvis, Spotify Content Partnerships; Jill Cress, National Geographic Partners; Muriel Bowser, Washington DC Mayor; CES will host a Shark Tank Open Call on the final convention day. In the city of Modena, Cos Mo Cosplay Modena is an exhibition and market in Modena dedicated to the world of manga, anime, models, action figures, comics, TV series, video games, board games, free games, role-playing games, authors and YouTubers. Activity dates run from January 12-13. Exhibitors will showcase products and services like comics, manga, CD and DVDs used and collectible vintage, collectibles, costumes and accessories for cosplay associated with the field. Cos Mo Cosplay offering will be presented as thematic areas. Making their way through the selection, visitors should expect to encounter, KST – KPop Show Time, Video Games tournaments area, Dragon Ball Super and Force of Will, Vintage Games Party, Free professional photo sets, Synergy Song, Self area Productions, table games with Cosplayou, Just Dance 2019, Lightsaber Combat, board games, Gunplatori Anonymous (fashion) modeling workshop. Cos Mo Cosplay ​​also offers a giant 360 degree animation screen on stage, photo stands for cosplayers, video game tournaments, collectible card tournaments, unique guests and exhibitions. There is expected to be a full section dedicated to comics, reflecting a range of tastes, from “antiques” right up to the latest trends in publishing. There are many stalls dedicated to the serial comic strip, or those dedicated to the characters who have now become real cult icons, from Martin Mystere to the superheroes of the Horn, from Mickey Mouse to Alan Ford, from Tex to Lupo Alberto. An invited special guest of CosmoComics is Enzo Facciolo, a cartoonist who at the beginning of the ’60s gave Diabolik the face that everyone knows. The designer is available to the public to autograph the comics, tell his extraordinary artistic career and illustrate the technical and theoretical bases of his creations. Another past trend, now once again relevant is LEGO. At CosmoComix there is an entire area dedicated to the exhibition of the famous bricks, with the possibility of free play and purchase. Matteo Leonetti is expected at CosmoComix to present a new mega concert, along with Disharmonica as special international guest of the cosplayer world. Zerio performs with his live K-POP band. CosmoComix also includes the Discoveries Market, CD and DVD used and collectibles. In the age of digital and disc-less music, discs and CDs have become collector’s items through which to relive cult moments in the history of music. Fiere del Fumetto, that administers Cos Mo Cosplay Modena, is a project by Blu Nautilus Srl, that is focused toward the creation of fairs and events that meet the expectations of customers. The group operates from the city of Rimini, in the Emilia-Romagna region of northern Italy. The National Association of Television Programming Executives (#natpe) is the premier global business forum for content buyers, producers, and distributors across all platforms. Annually, NATPE hosts its marketplace and conference events in Miami Beach and Budapest that draw content buyers and sellers from around the globe to make deals and share in the international conversation. The upcoming Miami convention kicks off with a Welcome Party that opens the four-day NATPE 2019 on the evening of January 21, at Eden Roc Poolside, Miami Beach. Then, there will be an Opening Night Party the very next night at Fontainebleau Poolside, also Miami Beach. Actor/Director/Producer Tyler Perry is set to be one of the first keynote speakers at a daylong career event aimed at students and young adults, presented by NATPE, the NAACP and National Hispanic Foundation for the Arts on the Martin Luther King Jr. Day holiday. The “Living the Dream: A Career in Content” event will be held January 21 (one day before the official start of NATPE), and the focus will be on education and networking opportunities for young adults interested in careers in entertainment. Of special note, a reception and ceremony will be conducted for the Brandon Tartikoff Legacy Awards, the evening of January 23. Beyond welcome and opening night parties, and special award receptions, all of which are always anticipated, the 2019 NATPE convention agenda and program reflects strongly on the continuing evolution of the global television and affiliated digital content industries. These areas will be in the planned conference program segments that form panels, workshops and speakers presentations. Agenda topics include, How Wall Street Watches TV, Worldwide Co-Production: The New Business Standard, Producing Content Worth Paying For, A Marketplace Transformed: New Buyers for Unscripted Content, Diverse Creators & Global Platforms with Facebook’s Emerging Video Producers, International TV Has Grown Up: A Conversation with Mark Kaner and Gerhard Zeiler, What the World is Buying, In Conversation with NBC Entertainment Chairmen George Cheeks and Paul Telegdy, All the World’s A Stream, Connected TV: What Does it Mean For The Future of TV Content? Over the Top and Over the Air: Monetization and Redefining the Media Landscape, More Choice in a Next-Gen TV World, Tuning In To Social Video: How Entertainment Brands Are Engaging Viewers. At the 2019 Sundance, films will come in the categories U.S. Dramatic Competition, U.S. Documentary Competition, World Cinema Dramatic Competition, World Cinema Documentary Competition, Premieres, Documentary Premieres, Spotlight, NEXT, Midnight, Indie Episodic, Shorts, Special Events, From the Collection, and Kids. There will be the New Frontier section that will contain Films and Performances – a selection of cinematic visions by revolutionary artists, Exhibitions – stories derived through a amalgam of film, art and digital technology that offer up the next vista of storytelling. And in the Offscreen section, panels with a variety of guests and topics that invite audiences into the discussion on storytelling will be offered, and a music program of live performances taking place throughout the festival. Entering its 34th year, Sundance Festival, based in Park City and administered by the Sundance Institute, is a nonprofit organization dedicated to the discovery and development of independent artists and audiences. 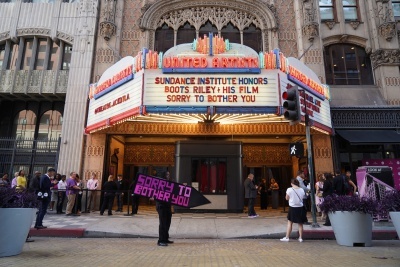 Originally founded by renowned film actor Robert Redford in the mountains of Sundance, Utah, the Institute seeks to discover, support, and inspire independent film and theatre artists from the United States and around the world, and to introduce audiences to their new work through the annual festival and other programs it runs. In addition to discovering new filmmaking talent through the Festival’s program of documentary, dramatic, and short films, festival goers experience live music performances, panel discussions with leading filmmakers and industry figures, cutting-edge media installations including VR/AR, parties celebrating the Festival community, and more. The opening premiere for the 11-day festival is writer/director Bart Freundlich’s ‘After The Wedding’ (Cornerstone Films), on January 24. Beyond the film festival, Sundance supports the independent film community, and associated artists, through various initiatives, providing opportunities to introduce their work to new audiences. Through a Creative Distribution Initiative, online resources, live workshops, and a network of allied organizations, the program provides support and insights on creative funding, marketing, and distribution. With a Diversity Initiative that has founding support from Time Warner Foundation, programs of programs of the organization endeavor to reach into new communities of storytellers and audiences across regions, genres, ethnicities, gender and orientation. Atmosphere outside the Ace Hotel as a crowd gathers for Sundance Institute at Sundown. A Sundance Native Program supports indigenous filmmakers by bringing them through the mechanisms of support at Sundance Institute to get their work made and shown, then bringing the filmmakers and their work back to native lands. The Sundance Film Music Program raises the profile of music in film through a series of concerts, events and panels. Led by Peter Golub, it connects composers and directors, giving them first-hand experience of the collaborative process. 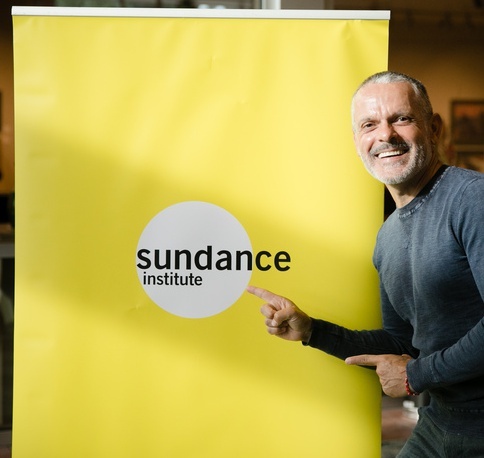 In addition to the Festival, Sundance Institute hosts many public programs in the US and around the world to connect artists with audiences to present original voices, inspire new ideas, and create community around independent storytelling. Traditionally happening in the same town (Park City), and with slightly overlapping dates as the Sundance Film Festival, Slamdance Film Festival opens a day after Sundance (January 25) but closes at the month’s end rather than crawl into February as Sundance does. For it’s 2019 festival, Slamdance has in place the Narrative and Documentary Feature Film Competition programs, as well as a lineup for the new Breakouts section. The 2019 festival will see the return of the Russo Fellowship — a $25,000 prize launched in 2018 by celebrated festival alumni Anthony and Joe Russo (Captain America: Civil War, Captain America: The Winter Soldier, Avengers: Infinity War) enabling a deserving filmmaker the opportunity to continue their journey with support from the filmmaking duo. The Directors Guild of America and Blackmagic Design are Presenting Sponsors of this year’s festival. The festival opening night Breakout Feature screening, ‘Ski Bum: The Warren Miller Story,’ directed by Patrick Creadon, chronicles the life and times of the filmmaker who, through his annual ski films was a strong advocate for the ski industry in America and throughout the world. The feature competition lineup boasts 18 premieres, including 10 World, four North American, and four U.S. debuts. In addition to the United States, films come to Slamdance from countries around the globe, including Argentina, Belarus, Brazil, Germany, India, Italy, Kenya, Poland, South Africa, and the United Kingdom. All competition films are feature length directorial debuts with budgets of less than $1 million USD, and without US distribution. Featured films were selected by a team of Slamdance alumni using a blind submission process and are programmed democratically. Films in both categories are also eligible for the Audience Award and Spirit of Slamdance Award, the latter of which is voted upon by filmmakers at the festival. The lineup for the festival’s new Breakouts section are films by non-first-time-feature directors who demonstrate a determined vision of filmmaking that is instinctively becoming their own. 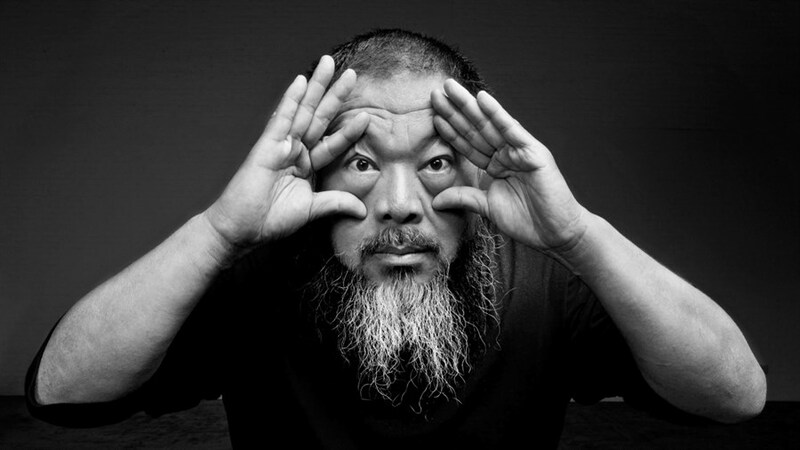 These artists are regarded for their propensity to push boundaries in genre and form. Slamdance’s goal is to help such daring filmmakers connect with bigger audiences and navigate onto the world cinema stage. The 2019 Breakouts feature the work of several Slamdance alumni, including Steven Soderbergh, who executive produced Beats, and Canadian filmmaker Alexandre Franchi who received the Audience Award for best Narrative Feature at the 2010 festival for The Wild Hunt. Established in 1995, Slamdance had a role in fostering recognizable talent in independent filmmaking. In addition to the Russo Brothers, notable Slamdance alumni include (in part): Christopher Nolan (Dunkirk), Oren Peli (Paranormal Activity), Bong Joon Ho (Okja), Lena Dunham (Girls), Ari Aster (Hereditary), Gina Prince-Blythewood (Shots Fired), and Sean Baker (The Florida Project). In addition to the Festival, Slamdance serves emerging artists and a growing community with several year-round initiatives. These include the Slamdance Screenplay Competition, its educational program Slamdance Polytechnic, DIG showcase of Digital Interactive and Gaming art, distribution efforts through Slamdance Presents, worldwide screening series Slamdance on the Road, and LA screening series Slamdance Cinema Club. Box Office Mojo reports alumni who first showed their work at Slamdance have earned over $17 billion at the Box Office to date.Submissions to the 2020 Slamdance Festival will be considered beginning in June 2019. The above events are only a sample of what is fully listed. Complete details are on the “Calendar of Global Media and Showbiz Industry Social Networking Events” page. If you like this report and other content found on The Actor’s Checklist, like the Facebook page at this link. In this month’s photo placement (starting at the very top), Replicas, starring Keeanu Reeves, opens mid-January in North America. Next, the CES in Las Vegas, NATPE 2019 in Miami, Sundance Film Festival in Park City, Slamdance Film Festival in Park City. We are in a new year and the calendar pace picks up. Now as we enter February here are some anticipated industry events to note on the calendar. Digital Radio Week will be conducted from Geneva and the interrelated World Radio Day administered by UNESCO goes online, the Hollywood Professional Association Tech Retreat will be conducted from Palm Desert the Saudi International Media & Broadcast Expo opens in Riyadh, the International Istanbul Film TV Forum & Exhibition is in Istanbul, the 61st Annual Grammy Awards returns to the Staples Center in Los Angeles and airs live on CBS TV, Mobile World Congress 2019 returns to Barcelona, the 91st Academy Awards is once again in Los Angeles. Set in Liège, Stereopsia is an international event that started in 2009. It encompasses all aspects of immersive technologies: 3D cinema and sound, virtual or mixed reality (XR). It is the meeting and networking place of the community of international professionals of the immersive technologies and all their applications and content. Stereopsia gives the floor to the world’s leading experts in a series of Thematic Conferences to better understand the issues, the technologies and therefore the new opportunities. Also, Stereopsia has strong connections with Hollywood. For the past seven years, Stereopsia has teamed up with the Advanced Imaging Society, which entrusted the event’s organizers to present the Lumiere Awards. Furthermore, this year, Stereopsia will launch the XR Tech Venture Forum, which will connect companies with investors (VCs & large companies) who can finance their innovation projects. Stereopsia is an international event dedicated to all forms of 3D / XR / AI. It features a series of conferences, panels with international experts, exhibition and demos, networking opportunities, and awards. 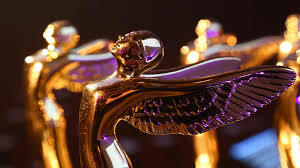 There is nominated content in 3D and 3DVR, as well as the program for screenings. The best content will receive a golden Lumiere statuette during the remarkable registration-only Awards dinner on December 7 – at the close of the three-day forum. This international event is organized in close collaboration with the Hollywood-based Advanced Imaging Society & VR Society and their EMEA Chapter, and it bestows their prestigious Lumiere Awards to exceptional 3D and 3D VR content makers. In the Exhibition area, you will find 17 exhibitors, with AR/XR demos and games, first-hand information on immersive technologies, Business-dating sessions, a VR Cinema… all free of charge. It is also the place where coffee and lunch breaks will be taken by Stereopsia’s participants. On behalf of the Advanced Imaging Society based in Hollywood, CA, Stereopsia organizes – for the seventh consecutive year – the competitions for the “Lumiere Awards” covering the regions consisting of Europe, the Middle East, and Africa (EMEA). In brief, the program topics will include: Lumiere Awards, International Conference on 3D Immersion (IC3D), Awards Dinner, XR for Health and Wellness, AR for AEC and Industry 4.0, Location-Based XR, Spatial 3D Sound, XR and Artificial Intelligence, Networking Reception, Content Screenings, XR Tech Venture Forum, Business Dating, exhibitions, Emerging XR Tech and Apps, Trends in Stereo 3D, Eye Tracking and Analysis for XR, Cinematic VR and Video Games, OpenXR Standard By Nvidia, Directing In VR By Randal Kleiser, XR Meetup. 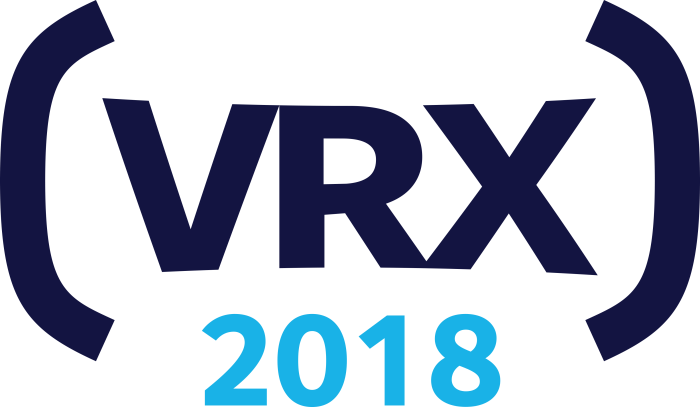 Set within the Union Square district of San Francisco for two days through December 7, VRX 2018 is the global summit that has been planned to address an increasingly advancing and crowded marketplace in immersive tech. VRX’s purpose is to cut through the noise and provide a reality check on the current state of VR and AR market development. Here business leaders are shown the resources to track the real market opportunities and impacts of virtual and augmented reality. With visionaries from across the globe speaking, and case studies from those succeeding on the front line, attendees will hear about the latest advances and innovations in immersive tech along with insight on real-world opportunities that are arising as the markets mature. With leanings toward practicality and application, VRX 2018 summit will throw its focus on where are the biggest opportunities for XR in business, where VR/AR technologies and content are having the greatest impact and delivering the most benefit, how to assess if VR/AR is a good fit to the problem at hand, and exploration into how immersive tech is providing real-world cost savings and increased productivity across industry verticals. VR and immersive tech are creating an entirely new medium for storytelling and new immersive tech developments are changing the game for interactive storytelling. Visitors looking to learn more can assess the variety of narrative possibilities in VR and how to approach this from a creative standpoint while considering what needs to change from traditional linear storytelling. Discover how the tech can be both a help and a hindrance in storytelling, and how creatives and tech companies are both adjusting to the new medium to develop the best possible experiences. Also, how does the rise of AR / MR play into this? What challenges and opportunities do these new platforms provide for creatives in telling meaningful and engaging stories? Visiting scholars and industry representatives participating in talks you can expect to hear from include, Steven Kan, Google; Amy Allison, Skydance Interactive; Pearly Chen, HTC; Prince Gupta, Qualcomm; Ted Schilowitz, Paramount; Kelly Kandle, MediaMonks; Timoni West, Unity Labs; Jennifer Magee-Cook, Dreamscape Immersive; Andy Mathis, Occulus; Ricardo Rodríguez, BASF; Vinay Narayan, HTC Vive; Mike Pell, Microsoft Garage, and many others not listed here. At VRX 2018, participants can expect a conference agenda that reflects the current state of how immersive technologies are currently shaping the business and social landscape with real application. Hear examples of how VR and AR is allowing brands to create interactive and engaging worlds and experiences for customers. Which technical and experiential components are most important to consider when creating great immersive experiences, and what are the latest advances in visual fidelity – how realistic can experiences now truly be. Gaming: What’s the real state of VR gaming, and issues such as VR games vs. flat screen games – differences in marketing strategies and execution. 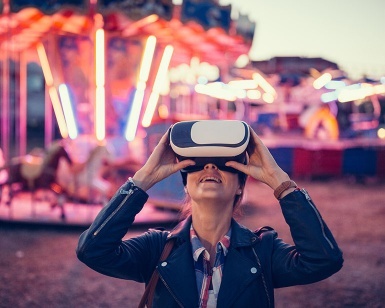 In seeking a route to mass consumer adoption, regarding location based VR and arcades, get insight on why VR and location-based entertainment pair so well and why having the right content is crucial, and how centers are managing this. Find out how Simulated Reality has the potential to fundamentally change the way we interact with the digital world and gain understanding how removing wearables allows users full merging of the real world and the virtual world and allows for more natural interaction. XLIVE (#XLIVE2018) is an annual conference for music festival industry professionals to discover and discuss trends and issues surrounding the industry. It will be conducted in Las Vegas, December 9-12, a city known for its history of staging and showcasing sensational live musical acts. Organizations attending include music festivals, film festivals, beer festivals, wine and food festivals, eSports events, Convention and Visitors Bureaus, Economic Development Corporations, event tech solution providers, event services companies, travel providers, financial services firms, production companies, event services, providers, A/V and staging companies and other organizations serving the live event and festival community. For three days you will interact, learn from and build relationships with the CEO, president, owner, founder, producer, executive director, manager, functional titles – marketing, finance, operations, IT, sales, project manager, talent buyer and other professionals working at festivals and live events. The XLIVE Opening Keynote is a joint presentation that features speakers John Boyle, President, Live Nation Japan, and Ted Cohen, Managing Parkner, TAG Strategic. The XLIVE Welcome Reception will at the MGM Grand in the evening. All attendees with an XLIVE badge will have the opportunity to network, play free games, 2 for 1 drinks, and have access to Hakkasan nightclub after the reception. This tech-savvy, adult playground features a variety of pay-to-play games in a social atmosphere. Designed to attract the next generation of players and existing players alike, this new ‘place to play’ concept features an extensive selection of traditional games with an interactive twist. From pool tables to multiplayer PacMan and skill-based slot machines, there should be something for everyone. In addition to next level entertainment, the 12,000-square-foot venue also features the “Live Lucky Bar” offering guests a variety of craft beers and specialty cocktails, a live DJ and endless entertainment and sports games across the multiple screens on display. The live entertainment industry represents a dynamic and influential community valued over $100 billion. XLIVE seeks to be a player in the way live events share expertise, learn and revolutionize experience. XLIVE convenes industry leaders at the intersection of music, sports, film, culinary, beverage, cannabis culture, eSports, technology, brands and the experiences that are part of festivals and live events. XLIVE will bring in a legion of speakers from various industries to share their insights with attendees through panels, workshops and labs. Topic areas on the set agenda include, Understanding Cannabis Within the Live Entertainment Marketplace, Rethinking Strategic Partnerships With Your Live Event, What Technologies Your Attendees want at Your Event, The State of Live, The Big Picture: Festival Cancellations and What It Means for the Industry, Experiential Media: A Deep Dive into the Rise of Experiential Activations of Media Properties, It’s Time: Women As Leading Influencers in Live Events, International Expansion: Taking Your Event Into All Regions of the World, Fail-Proof Ways to Market Your Events – Beyond the Basics. Augmented Reality and Other Technologies and How It’s Affecting the Live Event Space. The XLIVE Closing Party will be held at the Skyfall Lounge. Celebrate the emergence of the Augmented Reality and Virtual Reality sector in the Bay Area when VRARA Association will be welcoming members of the VRARA Association as well as anyone interested in networking with the local AR and VR community of the Bay Area. 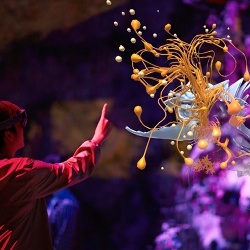 Take part in a night, on December 18, at the Unreal Garden, an immersive mixed reality experience where virtual artwork comes to life all around visitors using the HoloLens headset. Event host, Onedome presents The Unreal Garden, an immersive mixed reality experience featuring the work of a visionary group of MR/VR/AR artists, and assembled by a team of technologists, innovators and storytellers, As an interactive-immersive exhibit, the Unreal Garden merges multiple layers of perception to engage the imagination and senses. The event is free for VRARA members, but interested parties still should apply for membership at this link. Members are permitted to bring an additional guest for free. The event opens with a formal welcome, giving way to networking. Presentations and panel discussions are part of the event and attendees are given a chance to network with speakers. Food and panel discussion are included in the admission, and all attendees receive an ARtillry Intelligence report added at no charge. The corporate entity, Onedome, is an immersive media company and artist platform fostering a synergy from creativity, collaboration, connection and community. Onedome curates interactive arts and immersive entertainment in partnership with global visionaries, artists, technologists and storytellers. San Francisco is the first of Onedome’s permanent locations. At Onedome, visitors take part in experiences that merge art, story and technology. Onedome San Francisco, is a community space where all are invited and welcome. Normally, no ticket is required to come in (except for this event) and enjoy the space or sit in the cafe lounge while experiencing the 20,000 square feet of immersive activity. While at the lounge, create virtual artwork, and take part in many other activities that invite connection and collaboration with other participating guests. Augmented reality, projection mapping, soundscapes, food and drink, and even the physical space itself all work together to immerse the visitor in an otherworld known as The Unreal Garden. Later in the month (December 20 to be precise), Onedome rolls out LMNL, an immersive experience designed using 14 interactive rooms and installations, interconnected into explorative exhibits created in collaboration with 11 leading new media and visual artists from around the world, as well as Onedome’s own artist collective. According to Onedome, “LMNL exists at the evolutionary edge of technology, art, and human connection.” Part of this exploration will also draw upon the visitors that take part in and/or interact with the interactive exhibits where the art magically responds to and is created by its visitors, where collaboration with others yields spontaneous surprises and where curiosity becomes a guide to new kinds of experiences. Contributing artists or artist groups involved in the LMNL exhibition include, Vincent Houze, Storylab Interactive, Leans, Gabriel Pulecio, B-Reel, Dave & Gabe, Lynchini, Hybycozo, Design I/O, and Matt Elson. The district of Goregaon East in Mumbai will host its own Comic-Con that closely resembles the better known Comic-Con in San Diego. In fact, the producers of the recently inaugurated New York Comic Con are directly responsible for the initiation of this event as well. In general, the Comic-Con concept features the best of comics, graphic novels, movies, television, gaming and cosplay. So Comic-Con in any region of the globe is a place for getting close to as well as interacting with pop-culture and its heroes. And the Mumbai Comic Con will be no different in what it has to offer during its two-day run beginning December 22. Special guest appearances from within India as well as the international community will include, Sana Takeda, Yaya Han, Vivek Goel, Sumit Kumar, Shamik Dasgupta, Saumin Patel, Rajiv Tamhankar, Rahil Mohsin, Gaurav Basu, Alicia Souza, Abhijeet Kini, Sahil Shah. And at most any comic and movie convention, adoring fans are always eager to learn about viewing and/or participating in Cosplay, that for the Mumbai Comic Con, will represent five categories: Comic Books/ Graphic Novels, Icons of Movies/Television/Animated, Gaming, Anime/Manga, Sci-Fi/Fantasy. 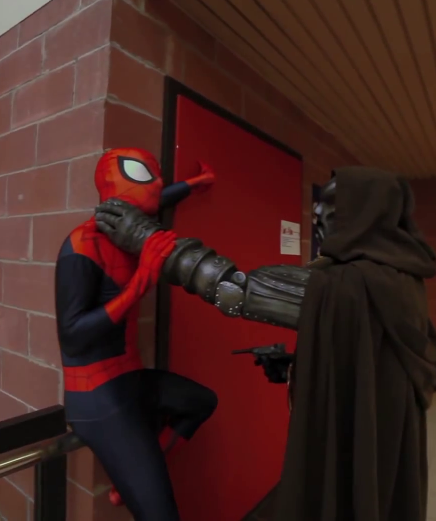 Mumbai Comic Con Cosplay Contest takes into its regard all pop culture. All entries represent a character or element from the pop culture realm drawn only from five pre-selected categories. Contestants are required to register on-ground, get their photograph clicked and then do their reenactments on the Main Stage for first place in their respective categories. Those first place winners will then move on to the Final round to win the Grand Prize of The Cosplay Contest. No speaking or individualization of music is allowed as pre-selected music will play throughout the event. Contestants will submit a costume description for the attendant emcee to read as they get their time on the stage and exhibit two to three poses before exiting. There is a time limit for each participant on stage which is approximately 30 seconds. The Grand Prize winner from each day and each city will also qualify automatically for the finals of the National Indian Championships of Cosplay to be held at a time and date that will be made available to contestants. Fan experiences will largely be themed on contemporary television and movie experiences. AXN, India’s English entertainment channel, will be recaptured through the AXN Live R.E.D. Zone. The iconic shows come to life as fans get to play their favourite characters. Marvel Studios in India will offer the Marvel Studios Experience zone on the heels of the 2018 release of ‘Avengers: Infinity War’ that broke records in India and worldwide, and the anticipated upcoming release for both Captain Marvel and Avengers 4 (WIP title) in 2019. The Marvel zone will its India based fanbase to engage with some of their favourite superheroes. The ‘House of Amazon’ has put together programming of the best of their Amazon Originals. Experience Mirzapur, Jack Ryan and The Marvelous Ms. Maisel, replete with experiences and a chance to win swag and merchandise at the House of Amazon zone. At the Sony Pix Zone, visitors get a chance to meet, play, challenge and engage with their favorite characters and actors including Minions, Batman, The Mummy, Tom Cruise, Dom Toretto and others. The above events are only a sample of what is fully listed. Complete details are on the “Calendar of Global Media and Showbiz Industry Social Networking Events” page. If you like this report and other content found on The Actor’s Checklist, like the Facebook page at this link. In this month’s photo placement (starting at the very top), the works of immersive artists (from left to right) John Park, Gabriel Pulecio, Noah McGinley, Android Jones, are featured at OneDome’s unveiling of The Unreal Garden in the Civic Center district of San Francisco. Next, the Lumiere statuette awarded at Stereopsia, VRX 2018 in San Francisco, XLIVE music conference in Las Vegas, The Unreal Garden, Mumbai Comic-Con in Goregaon East. Welcome to January 2019! At this point coming from out of the Christmas and New Years holiday period, expect the calendar to be a bit slow. Nevertheless, here are some worthwhile events to know about. The Golden Globe Awards are set for early January in Los Angeles, The Sundance Film Festival happens again in Park City, Variety will stage its B2B Entertainment Summit at the annual Consumer Electronics Show (CES) convention that happens in Las Vegas, NATPE Miami 2019 will be in Miami Beach, Anime Los Angeles happens in the city of Ontario, Cos Mo Cosplay Modena happens in the city of Modena, Palm Springs International Film Festival placing an emphasis on productions from Internet and Startups comes to Palm Springs. Three MIPWORLD events focused on the moving image will open at Cannes as a comprehensive package over combined dates stretching April 6-11. MIPTV is an international market event that is focused on content development and distribution for drama series (original and scripted formats), kids content (animation and live action), documentaries and formats (scripted and non-scripted). Through its annual presentation of unveiling new content and stories produced anywhere in the globe – both early-stage content as well as complete programming – MIPTV brings together rising producers and talents, commissioners and financiers, into a single space with distributors and buyers searching for finished program acquisitions and presales. Michael Aragon, Senior Vice-President of Content at Twitch, the leading service and community for multiplayer entertainment, will keynote at MIPTV on April 10. At MIPTV, he will provide insight on interactive entertainment’s appeal to younger audiences from gaming to non-gaming content, and the power of interactive live viewing formats to maximize audience engagement and create new experiences around both old and new programs. The MIPTV conference theme this year is “Pushing Boundaries,” which will explore how, in the era of peak TV, powerful stories and unique voices are fuelling global creative ambitions and connecting international audiences with an infinite choice of quality content. The conference program at MIPTV includes a keynote from Ilene Chaiken, the creative force behind the series “The Handmaid’s Tale,” “Empire” and “The L Word”; Anders Jensen, President and CEO of Nordic Entertainment Group (NENT Group) in conversation with Rola Bauer, Managing Director, StudioCanal TV; a keynote from David Lynn, President and CEO of Viacom International Media Networks, followed by a conversation with Rebecca Glashow and Shelley Zimmerman, Co-Heads of Awesomeness, and actress Peyton List (“Happy Together”); and a line-up of leading French TV executives due to speak as part of the France Country of Honour showcase. 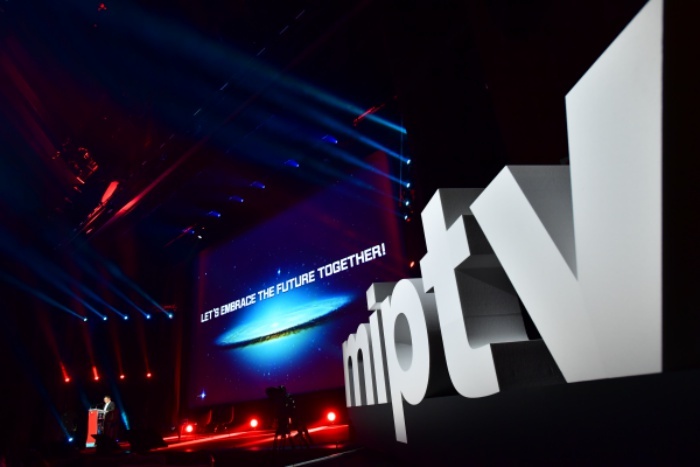 The MIPFormats segment is an incubator for upcoming entertainment formats. This can be the next wave of non-scripted formats and business solutions. Opening two days before MIPTV, it’s regarded as a gathering of producers, creators, commissioners, buyers and distributors. A third event within the same time frame as MIPFormats, MIPDoc, is a conference and co-production marketplace that hosts international buyers, sellers, producers and commissioners of documentary and factual programs to screen new content and do business. With regard to programming for young children, MIPTV will host the Kids Live Action Pitch presenting five new and original live-action scripted projects from creators and producers from around the world. And there is also the Pre-School Animation Pitch, a new pitching event for animation projects targeting children between three-to-six years old. There are expected to be six new, original animation projects in development looking for creative and financial partners. It is all supported by Hub City of Asian Culture Gwangju. In Las Vegas, the annual NAB Show continues its embrace of the new digital ecosystem of media, entertainment, and technology, where society and business have merged to redefine content, workflow and revenue streams. Even as it is wide ranging in breadth, the convention, which this year runs April 6-11 will have focus areas of film, mobile, advertising, gaming, television, radio, live events, sound, social media, VR/AR, video. It has been announced before the start of the convention that ABC, CBS, NBC and FOX Television will once again hold meetings during the 2019 NAB Show. The CW Network will also host meetings with their affiliated television station representatives. This year marks the eleventh year the ABC, CBS, FOX and NBC affiliate boards have met in conjunction with NAB Show. This is the ninth year that The CW affiliates will meet at the event. The 2019 NAB Show will introduce a new Influencer Series: Sports and Entertainment. Executives from leading sports and entertainment companies will participate in a series of probing discussions on strategies for success in an era of increasing competition. The conference will focus on building and sustaining a franchise; strategies for attracting new viewers; business models powering ticket sales and live events; and updates in content development. In one planned segment, “The Big Games Part II – Byron Allen: Playing to Win in the Digital Revolution,” Entertainment Studios Founder, Chairman and CEO Byron Allen will share how his company facilitates the distribution of content on numerous platforms, including broadcast and cable. He’ll also discuss his latest OTT and mobile platform, LOCAL NOW, which offers hyper-localized news, weather updates and traffic reports. The Influencer Series: Sports and Entertainment runs April 8 – 9. An Innovation Pipeline houses three destinations and a theater showcasing future-focused technologies and solutions from concept to prototype. Destinations in the Innovation Pipeline are equipped to promote each stage of innovation through Futures Park, StartUp Loft and SPROCKIT. 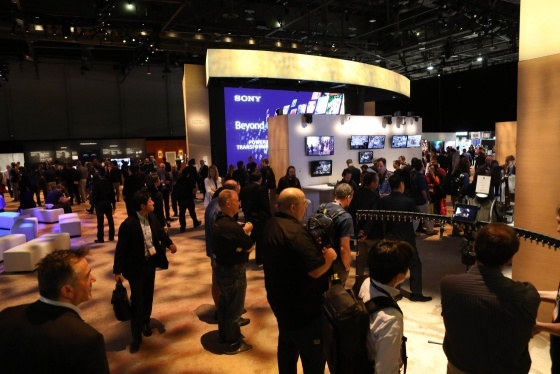 The 2019 NAB Show exhibition area will comprise 1,600+ companies, including 650+ international exhibitors and some of the world’s well known brands, including Blackmagic Design, Sony, Canon, Nikon, Cisco, Panasonic, Google, Facebook, IBM, Grass Valley, Microsoft, Adobe, Amazon Web Services, Vimeo, ATOMOS, Avid, and MediaKind. NAB Show will also feature several new technology-focused areas on the show floor, including the Esports Experience, AI+Cloud Campus, ATSC 3.0 Information Center, Destination 5G and the In-Vehicle Experience. 224 first-time exhibitors will join an assemblage of exhibiting veterans within the designated floor area that make up the NAB Show exhibit floor. Examples of the debuting companies include Red Bee Media, Audi, Mercedes-Benz Vans, Frame.io, StoryMate, Nextologies Limited, The Future Group, Send Bird, Kazuhm, Snappers.tv, and Opus Digitas, Inc., among others. Within the Inland Empire’s Coachella Valley, in what’s known as the Colorado Desert (about 125 miles east of Los Angeles), Coachella, the anticipated annual music event is held over two consecutive three-day weekends in April (beginning April 12) and features many genres of music including alternative rock, indie, and electronic music, as well as large sculptural art and installations on display. 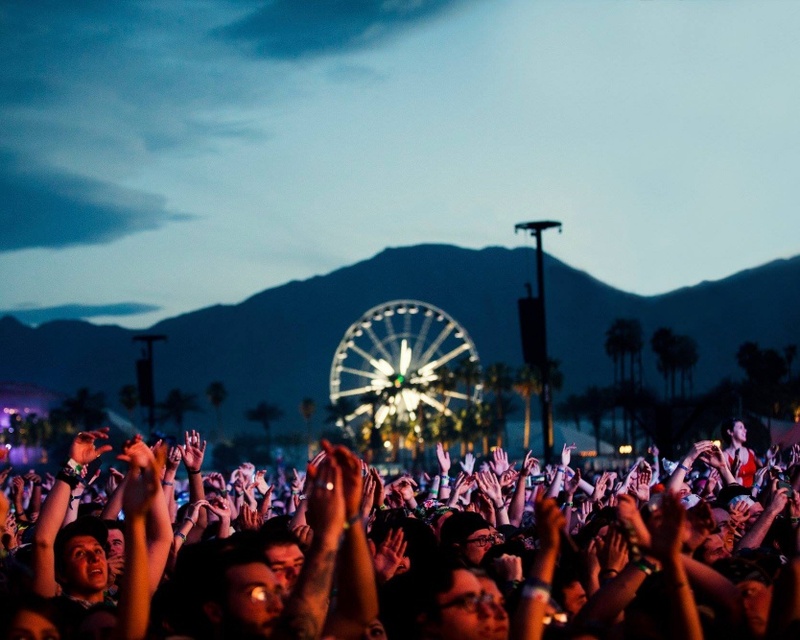 Coachella showcases popular and established musical artists, as well as emerging artists and reunited groups. The main stages are Coachella Stage, Outdoor Theatre, Gobi Tent, Mojave Tent, Yuma Stage and the Sahara Tent, each playing live music continuously. YouTube Music plays a role in this year’s Coachella Festival. Anyone can listen to favorite songs and discover new artists from the Coachella 2019 lineup. YouTube Music seeks to enhance the experience at Coachella before, during and after the festival. Listen to playlists, get music on the go and get the official livestream performances for those that can’t make it. A very partial listing of some of 2019’s expected performers will include: Los Tucanes De Tijuana, Kacey Musgraves, Gorgon City,Christine and the Queens, Idris Elba, Playboi Carti, Social House, Pusha T, Unknown Mortal Orchestra, Solange, Adriatique, Calypso Rose, CHVRCHES, Guy Gerber, Jaden Smith, Mansionair, Kacey Musgraves, Tame Impala, Zedd, Janelle Monáe, Gorgon City, DJ Snake, Cola Boyy, Alice Merton, 070 Shake, Javiera Mena, Mac DeMarco, serpentwithfeet, Kid Cudi, SiR, Stephen Bodzin, Ocho Ojos, Ty Segall & White Fence, Yves Tumor, Easy Life, U.S. Girls, Childish Gambino, Dillon Francis, Diplo, Hot Since 82, Kid Cudi, Ocho Ojos, Unknown Mortal Orchestra, Wiz Khalifa, Sabrina Claudio, Hurray for the Riff Raff, Dennis Lloyd, Anderson Paak & The Free Nationals, Khruangbin, Lauren Lane, dvsn, Ariana Grande. Aside from the renowned music spectacle that it is, Coachella fields plenty to do for its visitors in other areas as well. An Activities Tent in the camping center will have games, giveaways and anything else related to camping fun. Connected Lounge will be a place to bring computers (or those provided), and other mobile devices for free wifi and charging. Coachella Art Studios will offer fledgling artists a chance to express themselves at their craft. The Marriott Bonvoy Lounge will be a members space providing perks and amenities members are accustomed to getting and free wifi. Records & Record Store Day will produce 30,000 pieces of new and vintage vinyl to browse through or select. A Pantene Styling Lounge will be on the grounds to get hair styled with glittery gold accessories (Festival Hair Kits), besides offering free wi-fi, air conditioning, and artsy photo moments. To Die For Clothing will offer “official” design and hand screen printed camping apparel. The Vintage Market will offer a selection of vintage, upcycle/recycled and handmade retro items, handcrafted clothing, jewelry and other goods. Every year creators, professionals and large companies of audiovisual, music, and innovation meet in Rio de Janeiro for six days of learning, relationship, business and entertainment, which will open April 23 this year. This is a platform that anticipates trends, the emergence of new systems, and reflects on the dynamics of the market. 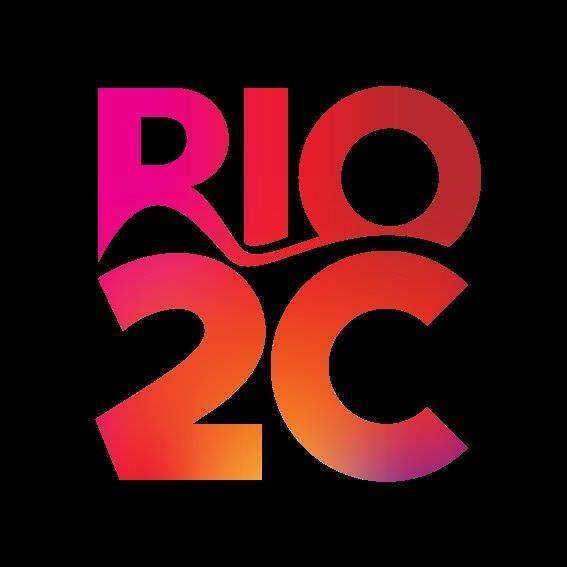 Rio2C took up from RioContentMarket in 2010, continuing the opportunities presenting by the former platform for offering audiovisual sector debates, trends and business opportunities. Over the past eight years, industry professionals from global communities have participated in the event, including digital media, broadcasting and mobile executives, programmers, advertising executives, distributors, creatives, producers and content buyers. Netflix Chief Content Officer, Ted Sarandos, will be the Opening Keynote at Rio2C 2019. Sarandos, who is responsible for the platform’s original productions, will share how the company blazed a new path for how movies and digitally streamed series are viewed. Rio2C seems to be comprised of three main program segments: a marketplace, conference sessions, and festival program. The Rio2C Market takes place between April 23-26. During four days of the Audiovisual Market, planned one-to-one meetings offer content producers the chance to share projects through a system of scheduled individual meetings, or in pitching sessions for prospects from Brazil and across the world. In the Music Market, artists and bands pre-selected by the Rio2C Curatorship Team to perform live at the Pitching Show before a commission of producers, journalists, radio and TV programmers, as well as an audience of top phonographic market and show business executives. RioContentMarket’s global creative community has now expanded to embrace the Innovation and Music markets, promoting content as the core of the creative industries. Rio2C’s conference programming will explore esoteric areas dealing with creativity and the inner workings of the human brain. The latest discoveries on mental functions, the creative components of arts, science and technology. Projects about the effect music has on the brain, studies on how the brain structures narrative and investigations into feelings and consciousness in humans and machines – these are just some of the themes explored in the BrainSpace. The relevance of branded content will be a focus within a summit for creative directors, editors, planners, producers, screenwriters, influencers, artists, marketing, media and entertainment executives. The series ‘Black Mirror’ is the theme for Rio2C’s PrimeTime. Peter Friedlander, VP Original Series for Netflix will interview creator Charlie Brooker and producer Annabel Jones in one confirmed keynote talk. Rio2C Festivalia engages its audience with singers, musicians and bands from different parts of the country, performing in the Electroacoustic Room and on the stage, at Cidade das Artes ground floor. At planned workshops, professionals come from the national and international market, institutions such as IED – Istituto Europeo di Design and Full Sail University (Florida). There are over 20 free workshops in areas covering Collaborative Creative Processes, Creative Design and Management, Creative Direction in the World of Fashion and Entertainment, Makers and Digital Manufacturing, Branding – Brand Management, among others. Hot Docs, the Toronto based documentary festival, conference, and market, opens from April 25 – May 6. Festival-goers can view documentaries from Canada and around the world for presentation to Toronto audiences and international delegates. Hot Docs will also offer a program of conference sessions and market events and services for documentary media makers, including the Hot Docs Forum, Hot Docs Deal Maker, Distribution Rendezvous, and Happy Hour(s). Opening Night begins with the screening of ‘nîpawistamâsowin: We Will Stand Up’ (Tasha Hubbard, Director). Following the screening festivities will continue at Toronto’s Royal Ontario Museum. Light refreshments will be served along with a celebration of documentary storytelling. Other Hot Docs festival highlights on the program to experience will be, Making Believe Shorts Program, DocX At Autodesk, Big Ideas Presented by Scotia Wealth Management, IMAX Screenings at Ontario Place Cinesphere, A Conversation With Ai WeiWei and Fen Weng, Animal Magnetism Shorts Program, Alla Salute, Nothing Fancy: Diana Kennedy, nîpawistamâsowin: We Will Stand Up (opening night). A 2019 Food and Film section will pair the evenings screening experience with a dining experience featuring special guests from the films screened. Following the April 27 screening of ‘Nothing Fancy: Diana Kennedy,’ there will be a four-plate tasting menu at Rosalinda, Toronto’s only Mexican plant-based restaurant. On April 28 Hot Docs will host the return of a past Festival favourite, ‘Kings of Pastry,’ with a conversation about the influence of France in the world of dessert with special guests. On May 5, A Salute to Pizza spotlights Pizzeria Libretto and how they have refined the pizza dish. Following the screening of Alla Salute, take a hands-on pizza-making workshop to explore the origins of Neapolitan pizza. There are also pitch idea and networking sessions. Distribution Rendezvous will offer pre-arranged one-on-one meetings with various distributors for filmmakers with finished and/or rough-cut films. Hot Docs hosts many different types of sessions that present ideal learning and mentoring opportunities. Conference and talk sessions will present industry visionaries discussing the evolving art and business of the documentary. Planned programs by title include, Distribution Rendezvous, Doc Summit: Dare to be Studio D, Micro-Meeting: TVO, Hot Docs Workshop: 7 Deadly Sins of Self-Distribution, Micro-Meeting: Bell Media, Micro-Meeting: CBC Docs, Hot Docs Forum, Hot Docs Workshop: How Are We Going to Break Barriers? Sound as Story, Channel Surfing: USA, Artist Talk: Working with Family, Micro-Meeting: Getty Images, Euro-Canadian Co-Producing, Close Up With… Cinereach, Close Up With… Impact Partners, Close Up With… PBS – American Documentary POV, Close Up With… Polish Public Television – TVP, Hot Docs Deal Maker, Close Up With… CBC documentary Channel, Close Up With… RTS – Radio Télévision Suisse, Close Up With… Spiegel TV, Keynote: Lisa Valencia-Svensson, Close Up With… Catapult Film Fund, Close Up With… ZDF – ARTE Germany, Kickstart: My First VR Doc, Hot Docs Workshop: CAVCO Explained, and more topics than are mentioned here. The above events are only a sample of what is fully listed. Complete details are on the “Calendar of Global Media and Showbiz Industry Social Networking Events” page. If you like this report and other content found on The Actor’s Checklist, like the Facebook page at this link. In this month’s photo placement (starting at the very top), Walt Disney Studios Motion Pictures will release Marvel Studios’ production, ‘Avengers: Endgame,’ worldwide, April 24, 2019, and in the United States on April 26, 2019. 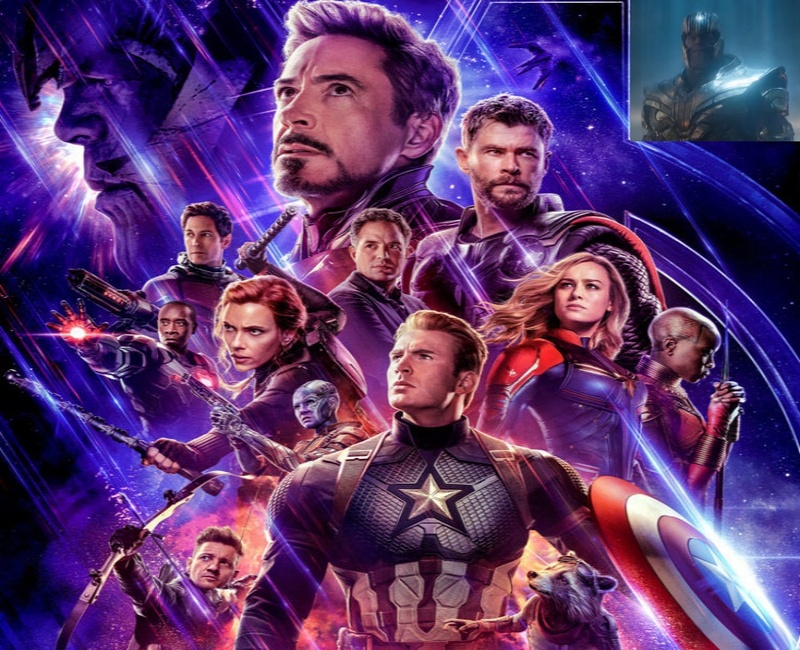 ‘Endgame,’ one of 2019’s most anticipated releases, is directed by brothers Anthony and Joe Russo, and produced by Kevin Feige. Next, the MIPTV in Cannes, NAB Show in Las Vegas, Coachella music festival in Indio, Rio2C in Rio de Janeiro, HotDocs documentary festival in Toronto. With spring in the air the calendar pace picks up, particularly with more outdoor events and festivals. Coming into May, here are some anticipated industry events to note on the calendar. Video Exchange Asia sets up in Bangkok, NATPE LA Screenings Market for television content opens in Century City, Global Media Forum is in Bonn, Hangout Music Festival is beachside at Gulf Shores, World Content Market is in Moscow, BookExpo 2019 is in New York City, Palm Expo in Mumbai opens at the very end of the month.